“We are very excited to have Shaq as part of the Carnival team! He will serve as a great ambassador ensuring everyone knows all about our one-of-a-kind brand of fun,” said Carnival President Christine Duffy, in a press release. O’Neal announced his new position on Thursday night's “Inside the NBA” television show with a funny new marketing video that embodies the line’s newest “Choose Fun” campaign. In the reel, Shaq hilariously heads to Carnival’s corporate headquarters to meet with Duffy, taking his “financial” job both seriously and not so much. “In today’s world, it’s more important than ever to choose fun, especially when everyone is busy with work, family, and life in general,” added O’Neal, in the release. 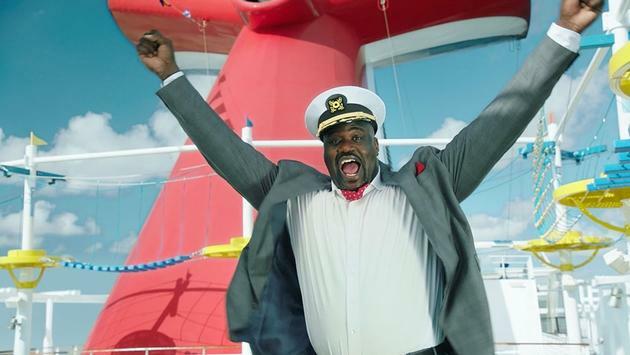 Remembered (especially by my millennial generation) for his basketball career as much as his role in the fantasy comedy film “Kazaam,” Shaq will continue to use his winning personality, inspiring American travelers to choose a Carnival cruise for their next vacation. He will be featured in video content, social media and experiential activations. In another 30-second commercial spot, the celebrity takes viewers on what he initially thinks is going to be a 30-minute tour of the cruise line. Once he realizes the actual brevity, he quickly shows off the Carnival Vista and its SkyRide, Havana pool, Cloud 9 Spa, Guy’s Burger Joint, the basketball court, naturally, and more, as well as marries a couple onboard. The comedic video is perfectly on-message and sure to resonate with potential guests. It will be great to see how the company employs O’Neal to next promote its upcoming Carnival Horizon launching as the line’s 26th ship in spring 2018. Surely, he will be on hand for its inaugural festivities, which we’ll be excited to share here. In the meantime, Carnival Cruise Line is the biggest brand in the Carnival Corporation, dedicated to quality vacations at an exceptional value. It accommodates five million guests annually including families, couples, singles and seniors, plus more kids and military personnel than any other line.